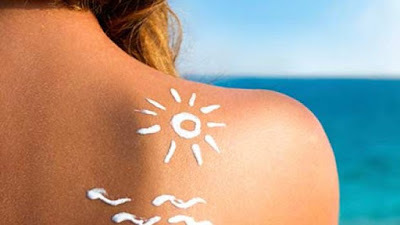 In summer, tanning occurs on body. But it more occurs on neck. However, we can clean it through some natural home remedies. Neck becomes black due to staying in sunlight for long time, pollution, skin products and obesity or diabetes. Olive Oil & Lemon Juice: Mix equal amount of lemon juice and olive oil. Apply it before bed. Do this remedy for one month. Lemon has natural bleach that brighten the complexion and close the skin pores. Olive oil does skin conditioning and make it soft. Aloe Vera: Take one leaf of aloe vera. Extract its gel and apply it on neck. Leave it for 10 minutes. Do this every day. Aloe vera contains flavonoids that helps to skin light. It also contains vitamin and mineral that hydrate the skin. Apple Sider Vinegar: Mix water in apple sider vinegar and apply it on neck. Leave it for 10 minutes. Remove it with water. Apple sider vinegar balances the PH level of the skin and gives natural glow. It removes dead skin. It contains melic acid that avoids darkness. Leave one day and use it. Also, apply moisturizer after using it. Almond & Coconut Oil: Mix few drops of almond and coconut oil. Clean the neck with soap or body wash. After that, massage the oil on neck for 10 minutes. Clean the neck with hot water. Do this remedy every day. Almond contains vitamin E that makes skin smooth and healthy. Baking Soda: Take 2-3 teaspoon baking soda. Mix water and prepare thick paste. Apply it on neck. Leave it for 10 minutes. Scrub it when it becomes dry. Then, apply cream on neck. Do this every day. This pack removes dull and dead skin. Potato Juice: Extract potato juice. You can also rub the potato on skin. Leave the juice for 10 minutes. Wash it with hot water. Do this daily or twice a week. Potato juice has bleaching properties. It makes skin light and removes patches and spot from the skin.